Going Strong in 2nd Grade: 21 Days in...how we are using Class Dojo! Now, you know working with 7-year-olds meant they wanted to get really specific, and sometimes silly on these behaviors. I couldn't put all of their ideas or we would have 20+ positive and negatives each, so I had to convince them that we group a lot of their ideas under some of the ones we already had (like poor choice). What silly behavior would a 7-year-old come up with - one of my sweet girls wanted a positive point for "being awesome"!! 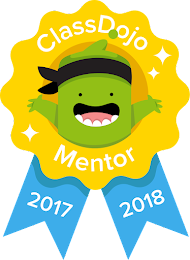 After ClassDojo's release of the Groups Feature this year, it is so much easier for me to be able to give points to a group of students at one time. So, now, we have Table of the Week! I have 4 tables in my classroom, so I have one group for each table. When we are transitioning or working on a project, I'll look around for a table that is doing what they should be, or see which table is done the quickest, and they earn a dojo point for their table. At the end of the week, we look at the Group points and the table with the most gets this fancy sign in their table caddy for the next week. 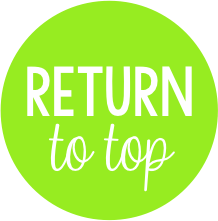 We then reset the table group points and start over on Monday. Now that we are 4 weeks into school, my kiddos are beginning to rack up some points! Friday afternoon, we had our first members join the 100 point Dojo club! 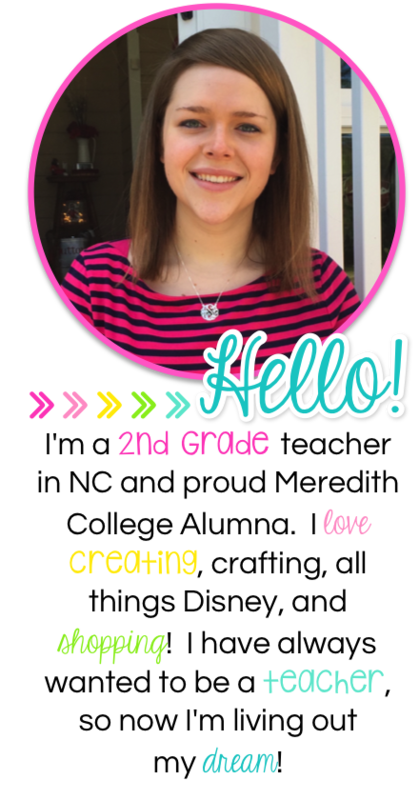 I used monster clipart from ClassDojo to make these little monsters to display student names. And lastly, our Dojo Leader of the Week! 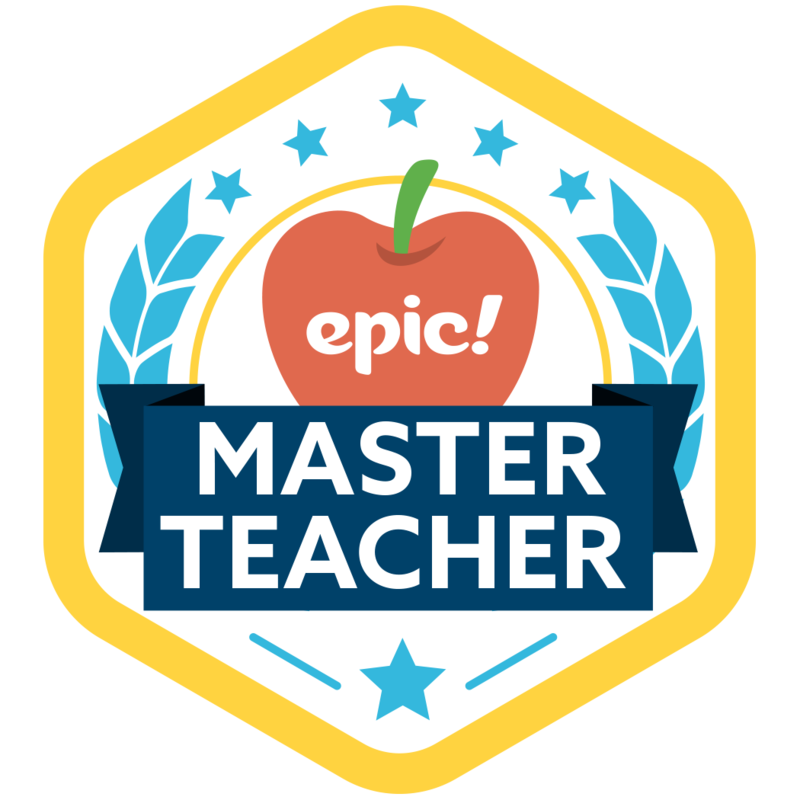 Each Friday afternoon, I look on the Class Dojo reports to see which student has the highest combined points for the week and that student is the Dojo Leader of the Week. They get a brag tag, a certificate, and their name gets added to our Class Dojo bulletin board. They start asking me on Monday who has the most points - but I make them wait until Friday! The monsters off to the side are preview Dojo Leaders of the Week - they might be a leader again, so keeping their monster nearby is helpful! Have you started school yet? Are you going to Dojo!?!?! Love this! Where did you get the little monsters? Love it! 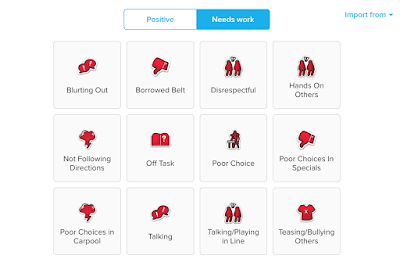 I am using Class Dojo with a classroom economy system. The kiddos keep track of the points they earn or lose in a Dojo calendar. They get to use their points in my classroom store on Fridays. This helps them really think about how they are spending their "money" that they earn in Class Dojo. So, since they can spend their points (which I love by the way) do you not keep track of overall points? Such a great post! 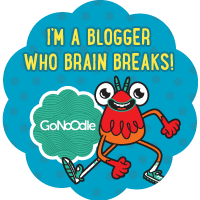 Thanks so much for sharing and linking up Allyson! I really like the idea of them choosing the things to earn or lose points for. Do you have them add/delete the points or are you the one who does it? How often do you reset points? I reset points daily. My students graph their points each day. Thank you! I love Dojo, but would love to be able to incorporate it more and this definitely helped me! I have trouble stopping in the middle of a lesson to unlock my ipad/computer and take a way of add a point. How can I get better at this or how do you make it work? In the past, I have just stopped and taken the point. Since I visited The Ron Clark Academy in Atlanta, GA about 3 weeks ago - I have started just writing the student's name or their classroom number on the board. When I write it on the board, it is a warning. After that, any check marks for continuing behaviors will result in a loss of dojo points at the end of the lesson. While students are transitioning back to their seats, I take care of any points that need to be taken away and wipe the numbers/check marks off the board. I've used a clip chart and gave points at the end of the day. 4 clips up on the behavior chart = 4 points. clips below start would be negative points. It worked well for me. Do you have an example of what the kids use to keep track of their points? Your leader board and point club is sooo cute!! I definitely want to try and use that in my class. I went on family leave right when Class Dojo came out and I didn't go back to teaching until now so I'm trying to remember how to use it since I never got a chance to really use it before lol. 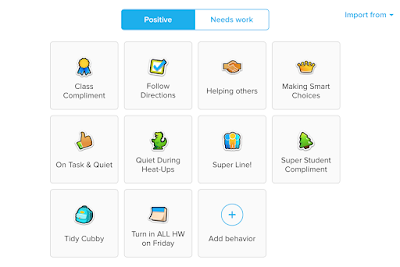 How are you able to change the colors for points in ClassDojo? I love that idea, but can't seem to figure out how you did it. This post is from August 2015. 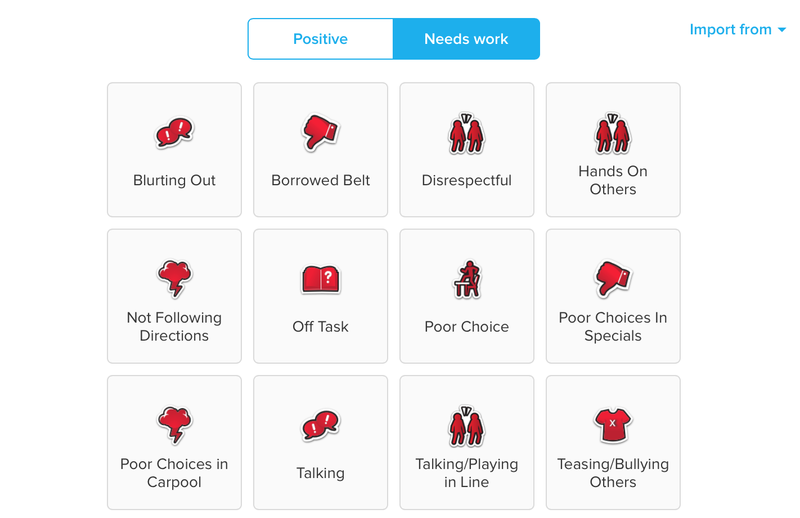 Class Dojo has changed the points images since then. The red pictures for negatives is no longer an option. Is it possible just to get to CD Student of the week? I'm sorry, but I am not selling individual pieces from the set at this time. Do you have a picture of the entire DOJO wall? 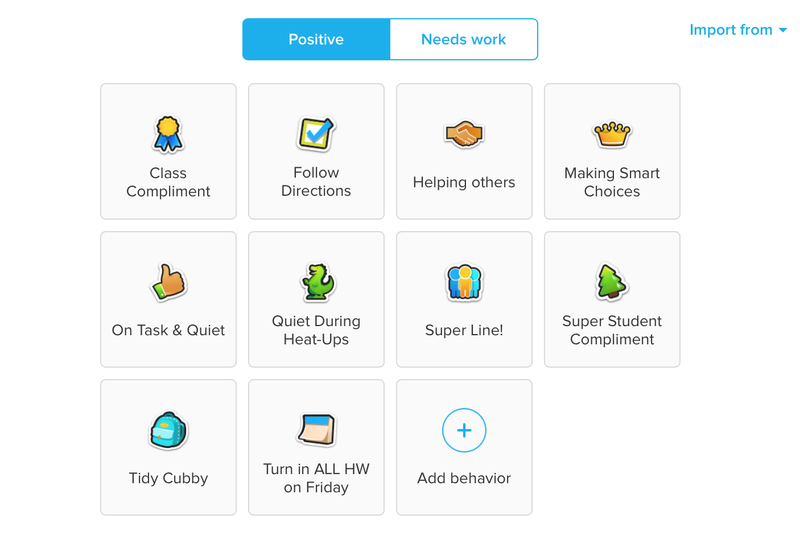 This by far seems like the simplest way to manage Class Dojo while rewarding students! So excited to try it this way next year! Nice posting and article is a best awesome very interesting. This is extraordinary compared to other substance and high class post for us. superb blog. very much helpful post .. Thanks admin for sharing this. Nice ideas of teaching. thanks a lot. If you are searching for microsoft support USA, dial 1-844-797-8692 to get your all error fix of any microsoft product like when your not able to reset windows password,Disk Defragmentation of System, account live password reset, Fixation of mails into different Email Clients and etc. Our support team is specially trained for all microsoft all product, they have deep knowledge and and give full of dedication to resolve your issues. For callback you can click on account.live.com.sign in and get in touch of an expert. App Cloner APK is an application that will allow you to make exact copies of any app on your smartphone or tablet. Nature pictures : Views Uttarakhand ?????????? ????? ????????? ????????? ?? Being a user of AOL email account if you are realizing that you email account is affected with spamming activities and facing technical issues during aol login then you must take support from genuine professionals. We are online assistance provider and can be contacted through aol sign in support number where certified professionals will assist you in all possible ways in order to resolve various issues and errors. If you are one of those users who is facing various technical glitches with iCloud account then by contacting our technical professionals through icloud login support number your all issues can be resolved instantly. Call our support number and get help regarding icloud sign in and for other problems also. Install Norton Internet Security on your devices for complete protection from online and offline theaters like Trojans etc. When you encounter with error during norton login then just take our assistance. Users who are dealing with technical issues during installation on multiple devices can take our help through norton sign in support number in order to resolve issues instantly. Microsoft Hotmail users are in to the habit of using flawless services of emailing but if your email account is affected by spammers then you may face issues in hotmail login any time. Call us to get support regarding this problem. Being an independent and genuine support providing agency we are responsible towards offering best solutions for those technical errors which are troubling you during hotmail sign in and by using other services also. When you have any problem related to office installation or office.com/setup you can call us on our toll free number. our technicians and well experienced expert team will resolve your problem. Our expert technicians will available at 24*7 on our toll-free number to office.com/activation and its services. when you want to change your google homepage or make google my homepage then you can call us on our toll-free number our best technician team will assist you. They will also provide best guidance for relevant issues. Our toll-free number is available 24*7 .our expert team provide you best support on make bing my homepage and related issues. When you have a problem related to gmail support number or login issue then you can call us on our toll-free number. our expert technicians provide you to best support. Our expert technician’s team is available for your help at 24*7. Our team will always ready to support for gmail support and its relevant services. When you have a problem related to hotmail login you can call us on toll-free number our expert technicians will provide the best support they also support on related issues. Our service is available into 24*7 by our well-experienced technicians. They will also available on chat. You can call or chat anytime for outlook login or its relevant issues. Some time customer is facing a problem during rr login or want to recover the forgotten password, our team is specially trained and highly qualified for resolving that type of issue, so please call our team without any hesitation our toll free customer service number 1-844- 797-8692, our team also giving 24 * 7 hour service to the customer through the online process like this calling or chat process and also help in recovering the rr sign in and relevant issues. When you have some issues regarding roadrunner email setup then you can get support from our technical support teams. Call our roadrunner login helpline number where experts are working 24x7 to resolve all your issues. Through our chat support medium we have helped millions of users in their issues with webmail account. So get connected with our support team either though toll free rr login number or through chat support for instant assistance. When your email account is not opening there might be various reasons behind this issue. Mainly users have problems related to passwords of account. You can call our hotmail login support number for help. We are independent and genuine online assistance providers and having bright track record of assisting users of different emailing services. For getting instant support about outlook login issues you can dial our toll free number or can chat with our expert technicians. We are independent technical service provider, offers the quickest and trusted support services to all new and existing aol mail users. We have earned a huge reputation in this domain by providing the customers with the most feasible solution to their aol problems. If you have any query about aol login, aol sign in, aol mail login and aol.com login then you can connect with us at our toll free number 1-800-436-6070. Our expert team will help you as soon as possible. If you are facing issues while signing in to your aol email account, you may want to check if you are doing it the right way. Here are some best practices to help you safely login to your aol mail login account inbox page. For more information call on our helpline number 1-800-436-6070.We are available 24*7 for aol customers help. Aol is the best email administration and gives the easy to use highlights. Yet, here and there, client confront specialized issues related aol account, Password Forgotten, Password Hacked, Spam emails. There are different aol issues which are happened when you are utilizing aol messages. Contact aol phone number to settle following some normal issues. Roadrunner is an excellent email service software which is using million people for their emailing needs. roadrunner provides roadrunner help number for users. Take the help of email specialists to resolve your roadrunner services related problems. with the help of professional assistance all your mail troubleshoots get resolve immediately. Dial +1-800-436-6070 roadrunner support number it is available 24/7 for your help. You are unable to connect to the bell south, then you are free to call on the toll-free bellsouth phone number provided below which will then connects to the independent third party bellsouth support number. Call now on bellsouth support number 1-800-436-6070. If are you facing technical issues in bellsouth email account then contact us to bellsouth phone number for any help.bellsouth Customer Care Number bellsouth Email-The reliable one! If you any issue related to mcafee antivirus. Our mcafee customer support team is 24*7 available for your help, so you can dial our toll-free macafee help number 1-800-436-6070 anytime. Are you facing some issue with your mcafee antivirus, Just Call on the mcafee support number and get the immediately solution for mcafee from mcafee customer support team. We offer the Yahoo customer services by yahoo support number in the USA and Canada. If you have any problem related to Yahoo account then call our toll free Number 1-800-436-6070 for Yahoo technical support, Yahoo password support number, Yahoo tech support and assistance. Our yahoo phone number is working twenty four by seven as a medium of meeting technical experts. As an individual and reliable third party we are open and available to all by various means like chat, email and toll free phone lines. Aol email service has many features such as unlimited storage space, complete spam protection, superb performance, high speed, saving emails, etc. Get more information through our aol login helpline number 1-800-436-6070. it is available 24*7. Are you facing problems during aol sign in? You may want to check if you are doing it the right way. Here are we provide best help you through aol support number safely login to your aol mail login. For more information call on our helpline number. If you need any help about how aol mail login then here you can get satisfaction. To get information call or text ant time at 1-800-436-6070. We provide all possible help for client.